From snaps and selfies to sitting at a computer all day and peering into our phones at night, it’s safe to say that we’re exposing ourselves to a lot more screen time than previous generations. It’s also safe to say, that we don’t yet know even half the damage that all of this may, or may not, be doing to be our skin. Scientists are, of course, delving into the issue as we speak, furiously trying to deduce whether blue light really is an ageing threat and how new tech-specific habits (such as the text-reading hunch or the late-night Facebook squint) are going to affect us long term. But while solid studies are still low in numbers—the social media revolution is still a relatively new phenomenon, after all—the general vibe of results being revealed are already a cause for (mild-ish) concern. So, do you have tech face? Here are the skin issues to look out for, the tech that could be causing it and—most importantly—what to do about it. Let’s start with the biggest concern on the list: Our selfies could be damaging our skin and speeding up the ageing process. Which is ironic, given all the effort we put into making them look flawless. So what’s the problem? The screens on our phones, tablets, computers and even televisions all emit blue light, also known in science labs as high-energy visible light. These HEV rays travel on a wavelength similar to that of UV rays, which has triggered concerns that they may share some of the same damaging effects—pigmentation and dark spots, for example, plus faster breakdown of skin-plumping collagen (read: accelerated signs of ageing). While more research is needed to definitively prove the theory, dermatologists advise avoiding blue light exposure where possible (using a blue light filter on your laptop is a good idea), and incorporating a HEV shield into skin routines. 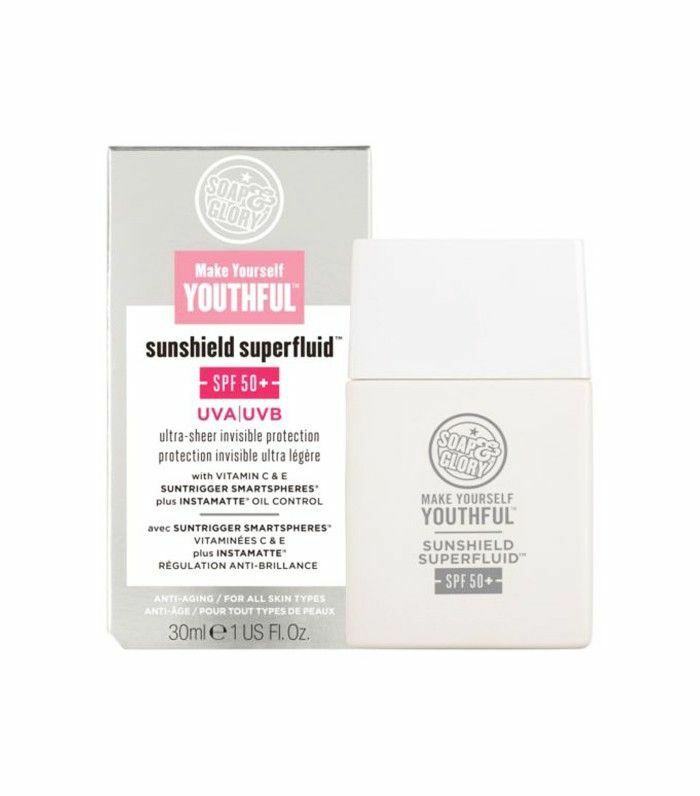 Look for sunscreens that incorporate physical ray blockers, as opposed to purely chemical ones, such as zinc oxide or titanium dioxide, plus skin serums, moisturisers or primers that contain new ingredient on the block, Liposhield HEV Melanin, also known as phyto-melanin. Brace yourself: This one is terrifying. Experts are describing tech neck as a sagging of the skin around your throat and jaw, leading to a more “jowly” appearance, which studies suggest is the result of constantly looking down. A 2014 research paper concludes that staring down at our phones while we text or scroll, puts around five times the normal gravitational pull on our skin, neck and spine. When this behaviour is repetitive—which it is, for all of us, all day every day—sagging, and even hunching, starts to take effect. Dermatologists have confessed to seeing increasingly younger women battling the kind of jowl and skin sagging problems, that they’d normally expect to see in a woman a decade older. To combat the effects, look for firming and toning face creams such as YSL Forever Youth Liberator Y-Shape Creme (£64), and proven collagen building ingredients such as rhamnose (the plant sugar key to YSL’s formula, also known as glycanactif), retinol, vitamin C and niacinamide. The neck is an often neglected area when it comes to skincare, so ensure you moisturise every day, using gentle, upward strokes. You could also try looking down less, too, though we know that struggle to be very real. Prepare to become obsessed with screen wipes. Dermatologists are seeing an increasing number of patients arriving at their clinics with “phone face,” a form of contact dermatitis also known as acne mechanica. The itchy, acne-like bumps tend to only appear on one side of the face, implying that—yep, you’re with us—it’s being caused by having our phones rub against our skin during a call. Think about what your phone goes through for a moment; it’s rolling around in your handbag or pocket, you tap your fingers all over it while texting or scrolling, it sits on our desks, gets placed on tables and more. Then it touches your face. Over and over again. If you have sensitive skin that easily reacts, or are already prone to spots and blemishes, be sure to stick to a thorough cleansing routine every morning and evening to keep your skin clean and clear. 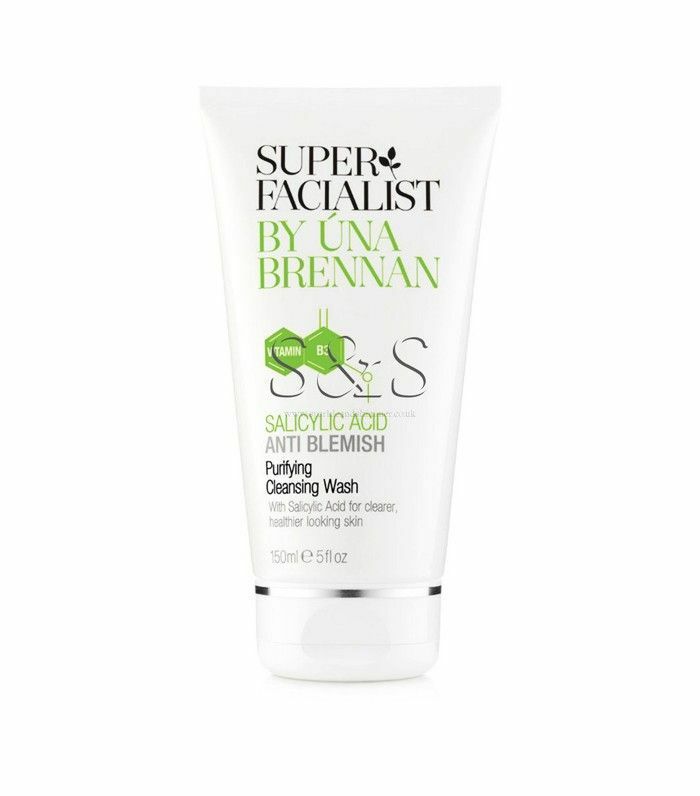 Salicylic acid is a known acne tamer, so look for it in face washes and serums to keep phone face blemishes at bay. Cleaning your phone regularly is important too—use a specially designed wipe or tool such as Maplin Mobile Touch Screen Cleaning Kit (£3) to avoid any damage to your device. This isn’t good at all. On the one hand, immersing ourselves in social media feeds late at night can keep us up past our bedtime for the obvious reason—we just can’t stop scrolling. But there’s also something else going on here, and it’s back to that pesky blue light emitted from our screens. According to experts, HEV rays can affect the way the body produces melatonin, a hormone that helps to control our circadian rhythm (aka our natural body clock). The result? We don’t feel tired when we should, and when we do hit the hay, it’s for a more restless, less restorative sleep—all that takes its toll on our skin. Sleep is essential for a healthy complexion, as it’s when the body does most of its healing and repairing. A lack of sleep can mean puffy, irritated eyes, more visible lines, dryness and increased sensitivity. Turning on night filters (such as the Inverted Colours setting on iPhone) to block some of this blue light is one way to go while cutting down the amount of time you spend on devices each evening is even better. 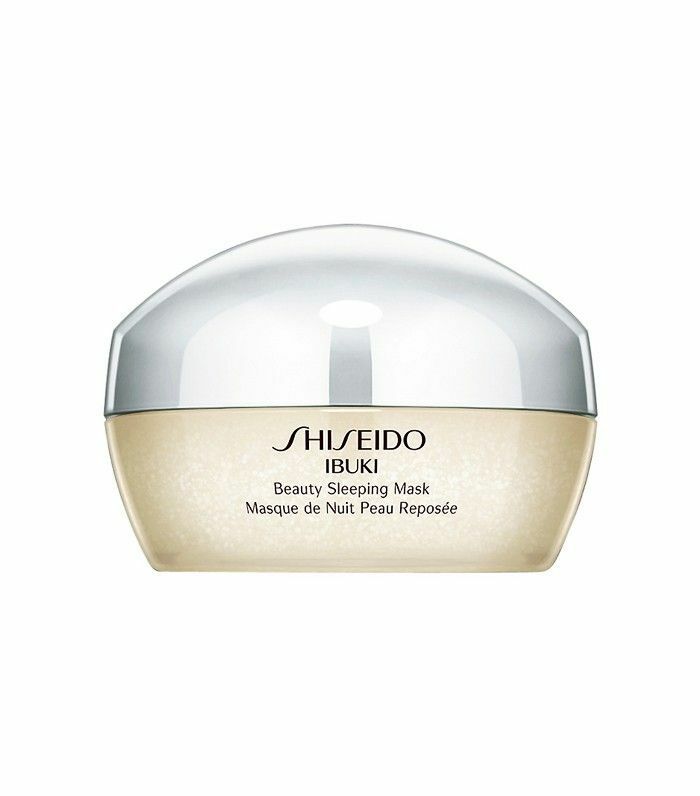 Using a nourishing night cream such as Shiseido Ibuki Beauty Sleeping Mask (£30) will also help to repair and replenish your skin. Are you doing it right now? Whether it’s glare from the screen, too small a font or just plain habit, peering into screens has left us all more prone to squinting—the repetitive kind, too, which directly leads to more pronounced lines and wrinkles around our eyes. Experts have also found that we blink far less than normal when sitting at a computer screen, which leads to dry eyes, and can even contribute to problems such as blurry vision or headaches. At the very least, you’ll likely want to itch and rub the eye area more often, which, as we all know, isn’t good news for that incredibly delicate skin. If you find yourself straining to read the text on your phone, visit the settings menu and make the font size bigger. A gentle eye cream is also important to help keep the skin hydrated and fend off of ageing. 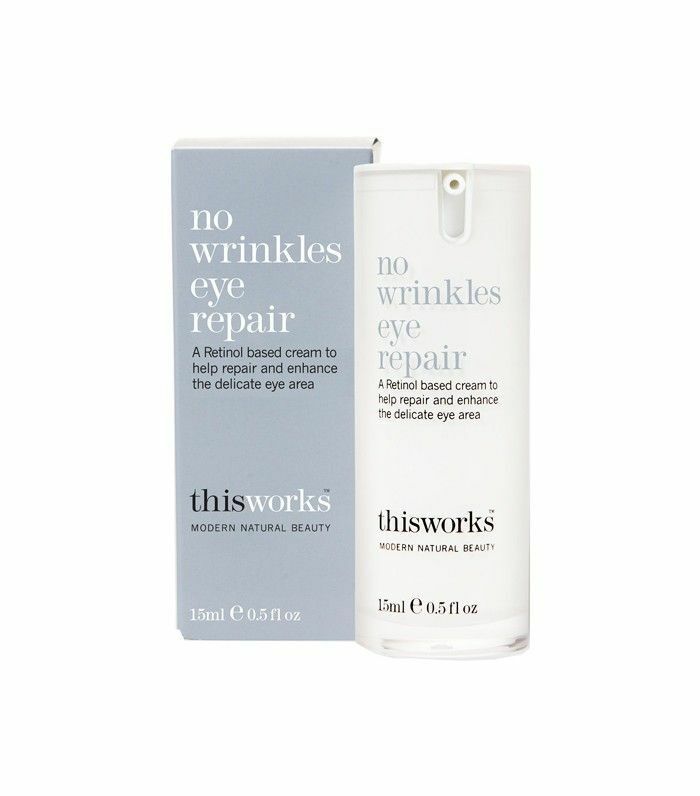 Try this works No Wrinkles Eye Repair (£40), which teams anti-ageing retinol with moisturising hyaluronic acid and nourishing vitamin E.
Next up! One Byrdie editor tried the world's most advanced facial—this is what happened.